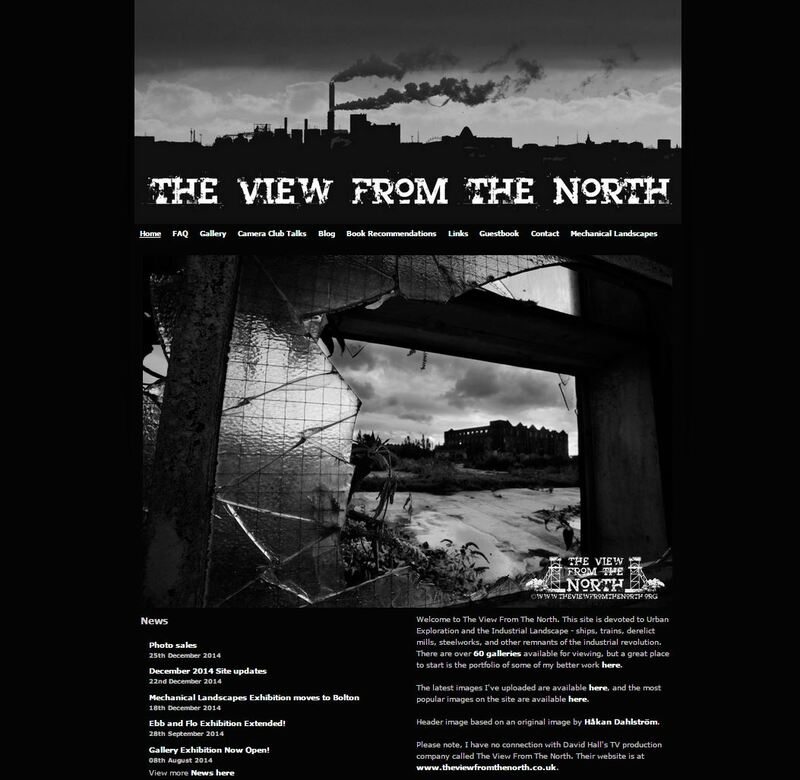 I first launched theviewfromthenorth.org in 2007, and while new content is only added infrequently at the moment, I do periodically tidy things up a bit. Part of the problem is its size – there are over 60 galleries and nearly 1000 pictures, all processed with varying degrees of skill and attention to detail over the past 8 years. As I’ve had an unprecedented 2 weeks off over Christmas, I’ve taken the opportunity to have a really good tidy up. Biggest thing has been the removal of the railway and urban landscape galleries (they’re still on Flickr) to focus the website on just urbex and the industrial landscape. I’ve also started to re-watermark pictures with my current logo. Being a contrary sod, I’ve decided to go for a more intrusive watermark than the previous transparent one that I’ve been using since day one. I know many people hate watermarks (which is fine) but with the ease of one click sharing of images these days, I decided I wanted to raise the profile of the website. I’ve also taken the opportunity to re-work some of the images – nothing fancy, mainly just going back to the raw file and starting again with some basic adjustments in Lightroom. Lightroom is much quicker than Photoshop for this kind of things, and the ability to automatically add the watermark when batch exporting saves so much time than laboriously adding it individually in Photoshop or writing a complex action like I used to. To date the following galleries have been reworked, with more to come soon!